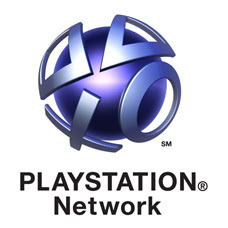 Seven days and counting: Sony's Playstation Network was still offline after the announcement it had taken the service down indefinitely, while they 'rebuilt from the ground up.' PSN has suffered a major hack-attack and personal information of all users has been stolen, possibly including credit card data. April 28th was D-day. 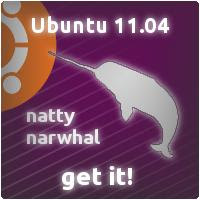 Ubuntu 11.04, codenamed Natty Narwhal, was released. Being honest, the world didn't stop. Yes, the Ubuntu Linux community and development company Canonical in particular, cares a lot. The 11.04 release is a radical overhaul of this free Linux distribution, featuring the Unity desktop launcher. The Ubuntu community is split between the lovers and haters - like Marmite, nobody goes with indifference. The rest of the Linux world watches with interest to see how it is received. Ubuntu 11.04 Beta-2 download on April 25th. We put it on a netbook with Intel graphics (not my JVC-mini, the Intel Extreme 645 on-board is too old to work out of the box). Yes; on a Dell Mini-10, the Unity interface works perfectly at 1024 by 600. No messages. No extra drivers. No application crashes. You can re-size it and plug into an external monitor and it still works. Canonical's development team got it right with three days to go. The soon-to-be released Unity is Ubuntu's attempt (condescendingly) to produce a desktop environment with usability in mind. That rather patronizes the classic Gnome desktop, which was always functional rather than stylish and has served Linux users well for some years. 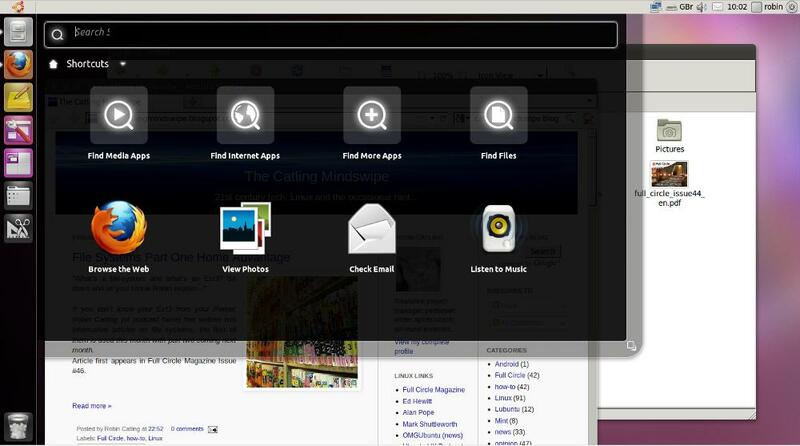 But Gnome 3 with Gnome Shell is bringing major change, too. Gnome Shell and Unity are the Gnome-based desktops designed from the start with usability and, particularly, new users in mind. 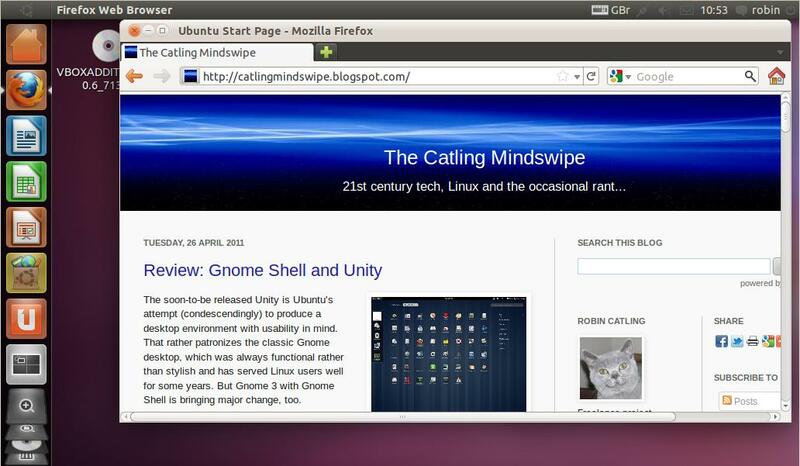 Unity is native to Ubuntu and its' derivatives, whereas Gnome Shell will be available across many distributions. The new user wants visual cues for everything, simplicity in layout, messages and notifications, also a quick way to pin favorite programs and files where they are accessible with a single click, similarly a quick way to find, well, everything else. The veteran hacker, by contrast, wants freedom to customize and configure a working environment for day-in, day-out use. So what do they get...? Full Circle - the independent magazine for the Ubuntu Linux community - is proud to announce the release of our forty-eighth issue. How-To : Program in Python - Part 22, LibreOffice - Part 3, Finding eBooks and Using an Arduino in Ubuntu. Top 5 – Project Management Tools. plus: Ubuntu Women, Ubuntu Games, My Story, and much much more! So the saga continues. My countdown banner tells me we've less than six days to go to release and Ubuntu users around the globe are still having issues with this Unity thing. In Linux-land we're at something of a crossroads in terms of the user interfaces and standard desktops presented by different Linux distributions. The two currently in the news are both controversial, partly because working versions are very late arriving, partly because of the changes they impose on the user and partly because of the massive compatibility issues we're having with both of them. Shamisen, flute and taiko players take on 70's rock, with Western strings and brass. How narrow is our view of culture and music in particular? This is one of those things that one never even contemplates existing. 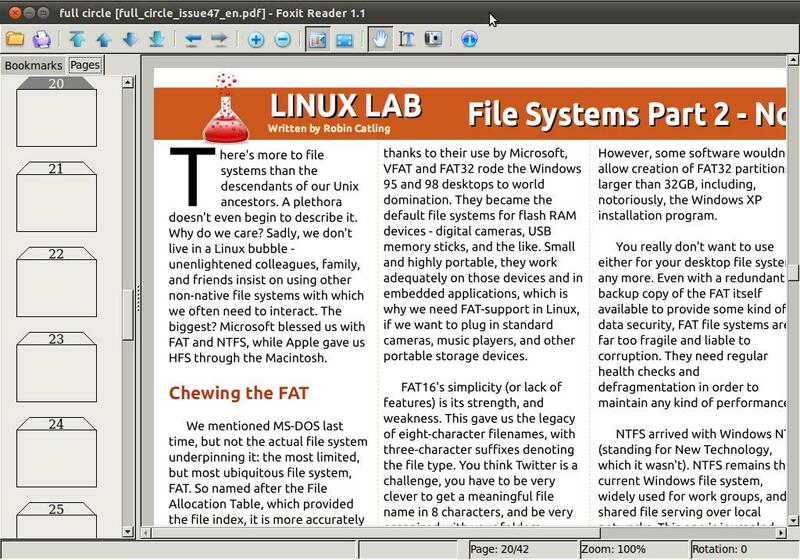 Almost a year ago, I opened a thread on Full Circle Magazine forums asking what alternative PDF readers we have on Linux. Having re-installed Ubuntu Karmic, I was trying to expunge as much the freedom-hating bloatware as I could and that includes Adobe Acrobat PDF Reader. The native Linux equivalent, Evince, wasn't good in Ubuntu 10.04, horribly slow and liable to crash. 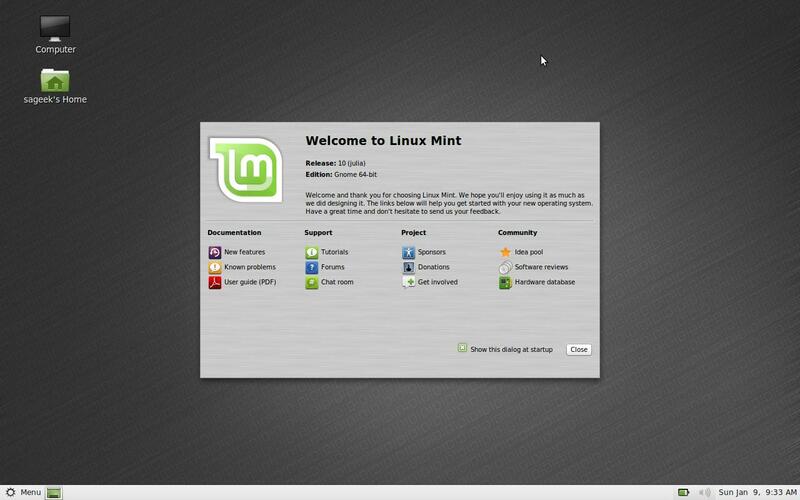 It improved immensely around Ubuntu 10.10, loading and rendering documents and pages faster more smoothly. Full Circle Podcast Episode #18, Never Order the Fish is available from the main site. 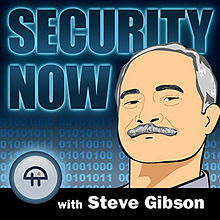 In this episode: dissecting the news with a fish knife. The show's presenter Steve Gibson is what I call 'old-school geek' but this is no bad thing. You get Leo's laconic US anchoring with Steve's combination of in-depth technical knowledge, passion for the subject and objective analysis honed through years in the industry. All in all, it's a joy to listen to a presenter who is not only over-qualified (unlike certain podcast presenters not far from here we could mention!) but able to communicate difficult subjects for a wide audience. Farnham Maltings in Surrey in the UK. OggCamp 11 is a two-day technology festival bringing together the most interesting people from the Linux, Open Source and Hardware Hacking communities to share their passion and knowledge on all things geeky in a barcamp-style atmosphere. We have re-purposed a number of Full Circle Podcast shows to go out on Hacker Public Radio over the next few weeks/months. The first show is the extracted interview with Jon Spriggs and Les Pounder promoting the U-Cubed event. 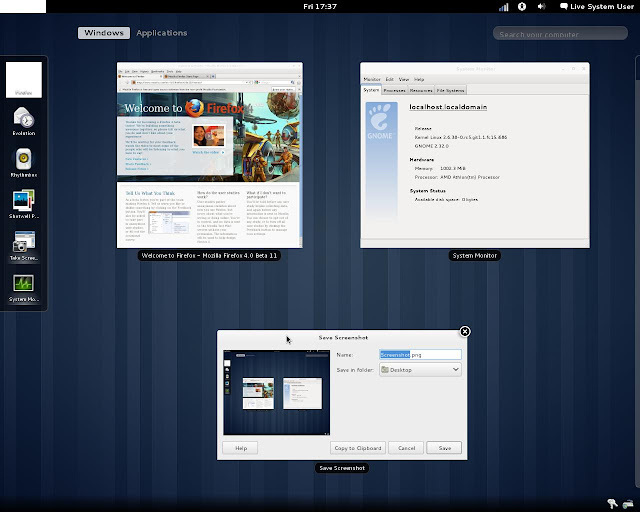 Ubuntu 11.04 Defaulting to Classic GNOME Over Unity? 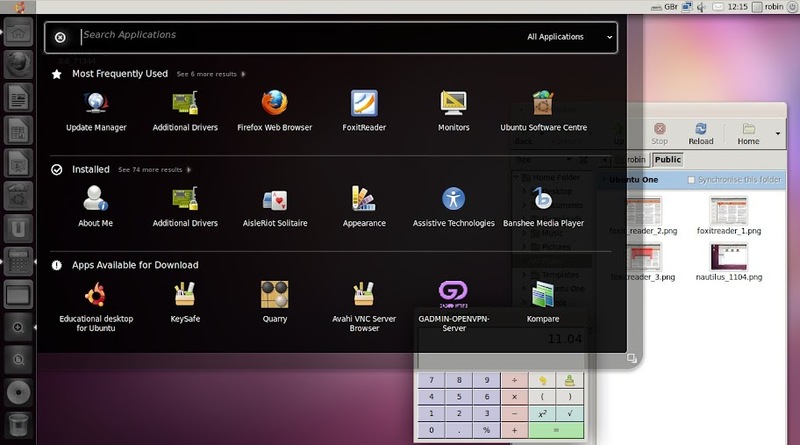 Is Ubuntu 11.04 about to switch back to Classic GNOME desktop over Unity? The buggy state in which Unity/Compiz is remains as at Beta-1 release, combined with usability issues, UI settings and the launcher icon's behavior have raised doubts and this is no longer April Fool's! 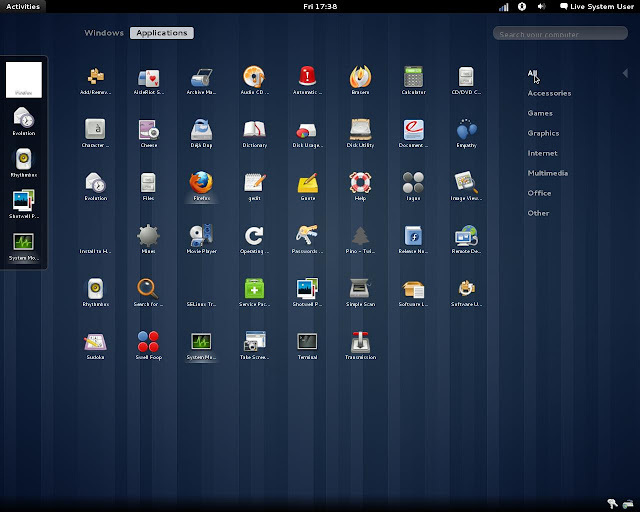 The much-delayed Gnome 3.0 with Shell is available! Difficult to know where to start. It's so late, so criticised already that it's hard to talk about it without sounding like a grouch. But simply applauding the fact that the developers got it finished isn't the right reaction either. I can't get onto the Gnome 3 PPA right now to run it, such is the pent-up demand. The PPA for .deb packages is hosted by Canonical, which is gracious, given the flame-wars and flak of late between Canonical and some of the Gnome Desktop team. But be warned code in this PPA is posted as unstable until at least April 28th. Lack of a life; it's Friday night and I'm lost in the guts of Virtual Memory Management. It's Part Two of my article for Full Circle Magazine, "The Pursuit of Swappiness. I know, terrible title. I just realised this topic is "above my pay grade" by at least couple of PhD's. My ancient MSc looking rather poor. I should probably stick to the day job of talking rubbish into a microphone. Or go back to opinion columns, you don't need facts for those. So I have written the Dr. Seuss version. I expect the Sysadmins to throw bricks at me by the third paragraph. It's also quite long and needs proofing by another pair of eyes. I think it may need an edit or seven. Can't think of any suitable illustrations to break up the text right now, either.